October 10, 2016 - "New Product Release"
NETZSCH is inviting K attendees to meet Proteus, its super-strong, ultra-fast and mega intelligent software assistant for thermal analysis. Proteus allows users access to data with just one click, simplifying processes such as the incoming goods inspection for various polymer compounds. Proteus assists the user from the start of a measurement to evaluation and interpretation using a number of different methods. The intuitive user interface SmartMode enables fast and easy data input by intelligent parameter setting when starting a measurement. AutoEvaluation brings users independent and fast one click evaluation and then the Identify system enables automatic database comparison of measurement curves with existing NETZSCH libraries, as well as the ability to create one’s own libraries. 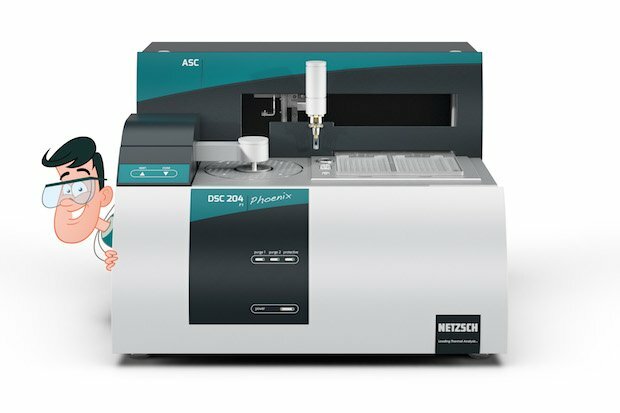 In collaboration with the Kunststoff-Institut Lüdenscheid, Germany, NETZSCH additionally offers a comprehensive material database for Identify with data sets for 600 commercially available polymers and polymer blends for DSC analyses. The capabilities of the new Proteus will be demonstrated at the K 2016 for the DSC 214 Polyma and DSC 204 F1 Phoenix, as well as for the two thermobalances TG 209 F1 Libra and TG 209 F3 Tarsus.